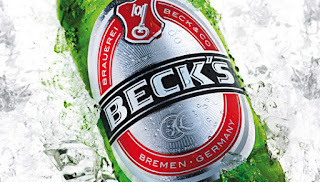 There's been a bit of chatter this week regarding Anheuser-Busch's proposed settlement in a class action suit involving Becks Beer. It's best to not get too bogged down in the details, because there's not much skin in the deal for the plaintiffs or class. Lawyers are the big winners. The important thing is to look at what the cynical charlatans at AB have been doing since they acquired Beck's a few year ago. And what they've been doing is selling Beck's without making it clear to consumers that the beer is made in the US, not imported. Let's be perfectly clear on one thing: The people who sued AB didn't do so on grounds that the beer sucked. Nope. They sued because they felt they were duped into paying more for beer that appeared to be imported. They could have just bought a crappy domestic brand on the cheap. For their part, AB says they follow the German recipe for Beck's and that the quality of the beer remains excellent. Oh sure, they subbed in some US-sourced ingredients that were cheaper and easier to get. But the beer is the same. Right. It turns out the Beck's case isn't even AB's first class action run-in of the year. Back in January, they settled a lawsuit involving Kirin Ichiban, That was a case where AB, this time as part of a joint venture with Kirin, was producing Ichiban in the US...while continuing to market and sell it as an import. Duped consumers objected and won. The fact is, AB's special expertise lies in manufacturing efficiencies and cost-cutting. They gobble up brands, often shutting down plants, and move production to giant factory breweries. That's why a lot of people worry about them buying craft brands. They don't mind cheaping things out and misrepresenting a product if there's a buck in it for them. In the case of Beck's and Kirin Ichiban, labeling and packaging identifying the beer as being a "Product of the USA" were either extremely small and hard to read or obscured more or less completely. The more obvious labeling suggested the beers were imported. Go figure. I have a hard time understanding how such shoddy labeling could have made it through regulatory scrutiny. But, then, this is probably just another example of a dysfunctional regulatory system that forces consumers to seek legal remedy when they get ripped off by giant corporations. Regardless, the real bully in the China shop is Anheuser-Busch, which knowingly duped consumers into thinking something that wasn't true. And don't assume for a second that a settlement or two will change anything. These schmucks are good at this kind of thing. They have a lot of experience.